Strong and resilient coastlines are needed all over the world. Everywhere, sea level rise, growing urbanism or tourism puts coastlines under a lot of pressure. The past year, we have seen large floods in urban areas in the UK and France, to vulnerable areas in Asia. In the coastal areas of North America the chance of a flood increases through the combination of sea level rise (expected 30-50 cm in NJ until 2050) and increased frequency and intensity of storms. New Jersey is even seen as a hotspot for sea level rise, because the level increases more than the global average. Coastal hazards are not new to the US East Coast. 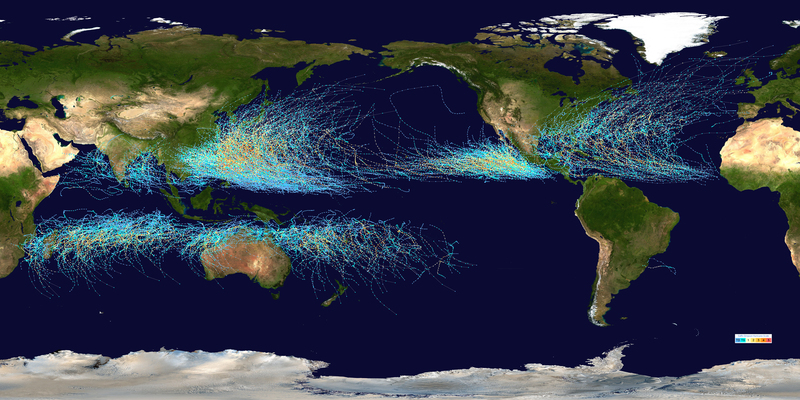 A hurricane with a direct hit, like Sandy, has an expected 1 in 200 year frequency. Flooding of the barrier islands can occur every 10 years. When we look at the major storms in the area since 1950, the impact of the storms has increased. This can mainly be attributed to growing urban investments in coastal areas. Compared to 1995, urban development in the coastal landscape of New Jersey will have increased with 40% in 2020, mostly taking space from forests, agricultural land and wetlands. The wish to live close to the ocean goes very far: From the Golf Coast to Alaska, homes can be found that are literally on the water’s edge or extremely close to it. For governments, the amount of private properties along the coastline forms an extra hurdle for rebuilding efforts: Because a large percentage of the coastline is private property, NJ State cannot start building dunes without consent of the homeowners. Now, they are asking residents for an easement to build flood protective dunes on their ground. From almost 3000 easements, about 300 are still to be signed. Sandy was a wake-up call for the US government. Many -mostly democrat- government officials took the event to re-start discussions on climate change and environmental policy changes. The Rebuild by Design organization, installed by the Obama himself, searches for climate adaptation on a regional scale. Unfortunately, non of the winning proposals focussed on New Jersey. Now, 71% of New Jersey Sandy-survivors feel forgotten by the states recovery efforts. As a reaction, many local parties started distributing food, supporting survivors and rebuilding homes and boardwalks. The efforts were mainly focused on rebuilding back what was, but have a much smaller role in the long-term adaptation of the area. Through the small scale recovery efforts were crucial for many Sandy survivors, a larger plan needs to be implemented to make sure that these impacts are less severe next time.